The Sonic the Hedgehog series is doing very well now, with games like Sonic Colors, Sonic the Hedgehog 4, Sonic Generations, and even well executed spin-offs like Sonic All-Stars Racing. Gamers will of course recall travesties that downright almost ruined the franchise, games like Sonic the Hedgehog (2006), Sonic and the Black Knight, and Shadow the Hedgehog. These were pretty dark times, but the franchise has actually experienced far worse before, for it went through a long period of literally having no direction whatsoever. After a tremendously successful run on the Sega Mega Drive, starting with the grand debut in 1991 and all the way till the end of 1994, the franchise suddenly reached an awkward halt and entered into this confusing, uncertain, and highly experimental era. Between Sonic & Knuckles (1994) and Sonic Adventure (1999), the series was stuck in a wheel of confusion and completely lost in limbo. After Sonic & Knuckles, the series was meant to make its grand transition into the next era in the form of Sonic Xtreme for the Sega Saturn. It was a bold and ambitious project, if not far too much for its own good, as it ended up going through a development hell before being cancelled. The Sega Saturn was left without a major full-fledged Sonic title. So what did Sega do instead? Basically anything and everything to keep the brand name relevant, all except developing a proper Sonic game. It was a very experimental but insanely messy era, new ideas are all well and good, but these were haphazard and desperate attempts to fill the void left by the cancellation of Sonic Xtreme. So much happened during this time, first being the awful Sonic 3D Blast which required you to tediously walk around in circles and basically collect birds. Then there was the racing game Sonic R, which features one of the most questionable soundtracks of all time. Sonic Jam was a collection of Mega Drive Sonic games, but it also had this 3D museum which really was just a cruel teaser of what a proper Sonic platformer on the Saturn could have been. There was also this fairly decent anime movie and this weird cartoon series where Sonic fought with the power of music. 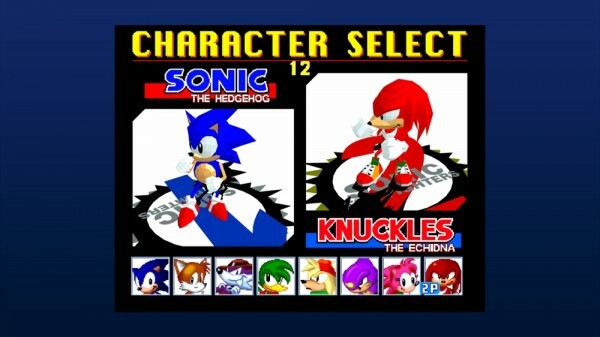 However, the lowest point of this era was Sonic the Fighters. 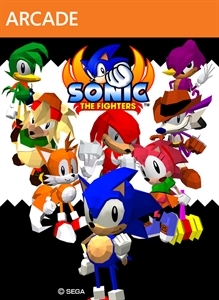 An AM2 developed fighting game based on the Sonic universe sounds like a good idea on paper, after all, Mario and his friends did pretty well in Super Smash Bros. Sonic the Fighters however, was conceived as a joke and ended up being just that. The original arcade version of it is now available as a digital title, with added HD shenanigans and an online mode. I won’t be discussing the story of Sonic the Fighters itself, but I will be discussing the story behind the game. For you see, Sonic the Fighters was conceived by accident, purely as a joke, and thus it was destined to be a bad game from the start. During the development of Fighting Vipers, one of the team members thought it would be amusing to create a Sonic character model, and he honestly did this purely out of boredom, or as they say in the internet world, he did it for “Lulz”. 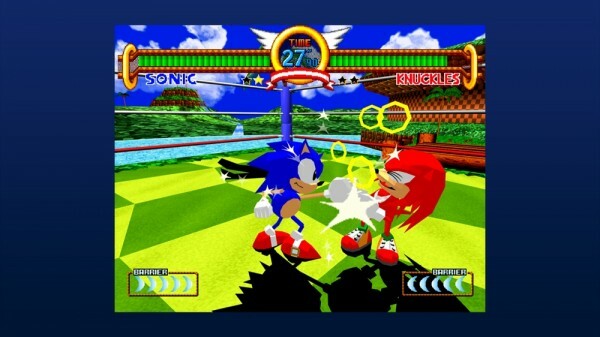 When the rest of the team (including seniors like Yuji Naka and Yu Suzuki) saw this, they immediately had this supposedly bright idea of creating a Sonic fighting game. The end result is probably something that should have remained within the confines of Sega headquarters, something of an inside joke, a game that they would bring out at Christmas parties for drunken laughs. The game should never have seen full-fledged arcade release, but at least they were smart enough to cancel the Sega Saturn port of it. For what it’s worth, the HD port looks nice and the graphics, colour shading, and cartoon-like animation would have been quite impressive back in that day, but in this day and age it looks utterly hilarious. In terms of visuals and animation, the game resembles a zany and colourful cartoon on acid. It’s pretty hilarious to watch actually, with all the whacky and silly facial expressions, colourful and random projectiles all over the place, and character models that randomly morph into different shapes and sizes. Just by looking at it, I am certain that this really should have been something for Sega employees to enjoy while drunk at an office party. Musically the game is devoid of the superb high quality music that characterize Sonic games, instead the soundtrack and annoying sound effects seem to come straight out of a gag filled Looney Tunes cartoon. It looks like a complete joke, and is presented as such. The animation here is a complete mess with some glaring collision issues and clipping. It has some cool moments, but it’s just really all over the place and absolutely confusing to watch, and I am certain it can cause some serious seizures. Without a shadow of the doubt, Sonic the Fighters is one of the worst playing and lazily put together fighting games you will ever experience in your lifetime. It’s almost baffling that Sega AM2 would go ahead and put their name on something so bad, especially during a time when they were on a roll with excellent games like Daytona USA, Virtua Cop, Virtua Fighter, Fighting Vipers, and Fighters Megamix. 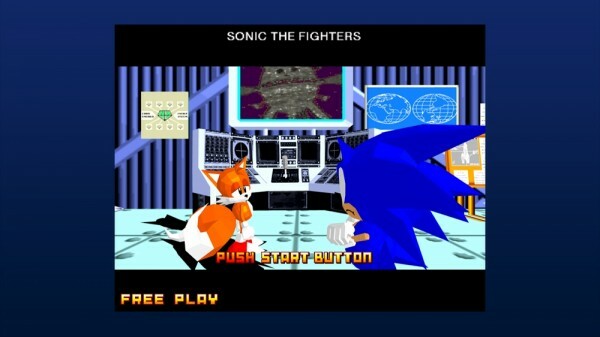 Apart from using the basic control scheme, it has nothing in common with the great fighters that the studio produced. For one thing the gameplay is barely coherent, as it is a complete mess featuring an overly simplified combat system. It is completely devoid of the basic fighting game fundamentals and intricacies. The combat mechanics are stiff and loaded with awkward glitches, and the hit detection feels way off. Above all, the character physics are slow, clunky, and clumsy. They are a real chore to control. There is little to no variety and literally no concept of character balance. You will see flying hammers, bombs, rings, projectiles, and randomly morphing body parts. None of it makes any real sense. 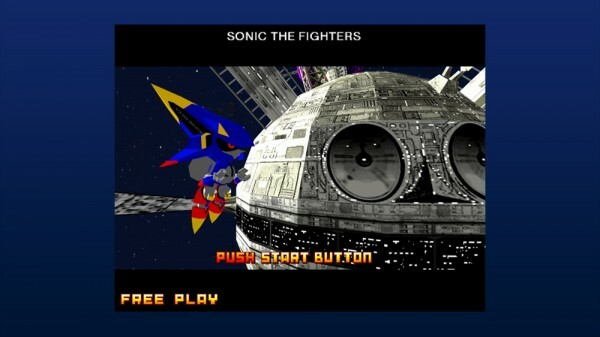 The digital release of Sonic the Fighters has the original arcade game in all its nightmarish glory, and it also has a solid online mode, not that anyone is going to use it! Sonic the Fighters is a complete joke in every sense of the word. Hands down one of the worst Sonic games ever produced, if not the worst one. It wasn’t worth a quarter when it was in the arcades, and it’s certainly not worth $5 at all. Why this game even got released again is a complete mystery. Avoid this like a plague, and don’t even bother trying the demo, unless you’re heavily intoxicated and out of it. Passionate fan of video games, anime, heavy metal, and game journalism.